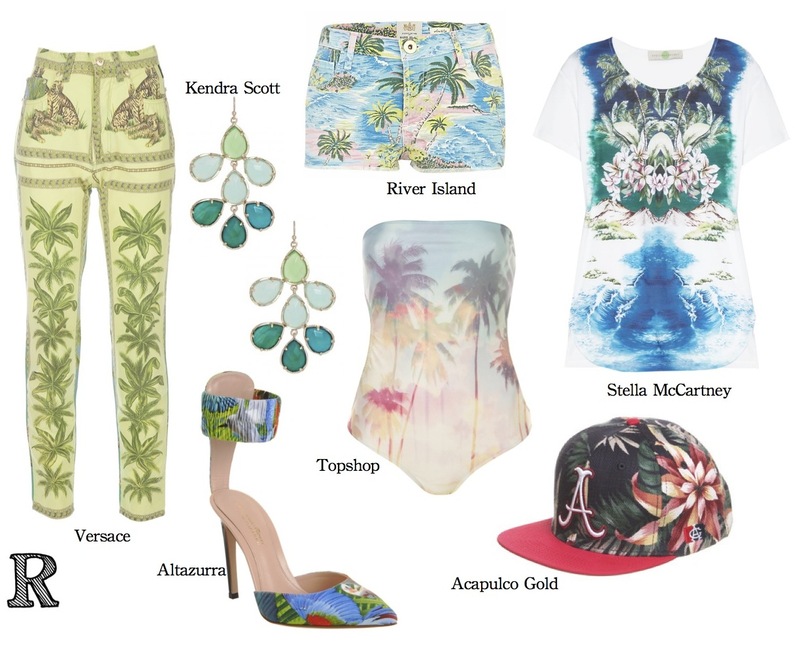 This picture from Planet Blue‘s lookbook inspired me to compile a list of my favorite tropical summer clothes. It takes a good sense of humor and courage to wear Hawaiian prints, one of the must ridiculed prints of all times, which makes it fun. Also, what screams summer any louder than palm trees and the color of the ocean?